Former Reserve Bank of India (RBI) governor Raghuram Rajan on Monday expected that the rupee will not go in for a free fall as the central bank is taking necessary steps to control inflation. The RBI has increased the key lending rate twice in the recent past on inflationary concerns while the ongoing depreciation in rupee against the US dollar has become a matter of concern. The rupee fell 72 paise against the US dollar to close at 72.45 on Monday. That marked an all-time closing low for the rupee against the greenback. The plunge in the rupee to record levels came amid a fall in emerging market currencies fuelled by rising concerns on a trade war between the US and China. 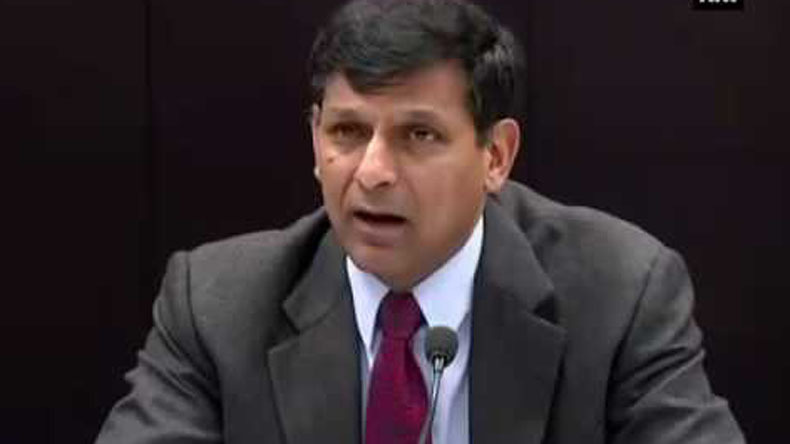 In an interview to a TV channel, Rajan said it was important for the RBI to continue to give signal that it would keep inflation under check and boost the morale of the investors that rupee is not going to go in for free fall. Speaking on the use of NRI bonds to stop the free fall of rupee against the US dollar, Rajan said they are “weapons you have in the armoury”. He said India is growing quite strongly but the country has to pay attention to the aggregate fiscal deficit, as state governments have increased their fiscal deficits. The government has tasked the RBI to contain inflation at 4 per cent with a margin of +/- 2 per cent. Rajan also stressed that India cannot “afford an election year budget” going forward given the kind of turmoil is there in the financial market.